Hello everyone! It's been a very busy summer getting the inventory moved over to my location. I'm just getting everything organized and I do apologize for being a bit lax at checking the messages. Things are for the most part on track again so from here on out things should go much smoother. I'm always on the look out for more old Internationals so if you happen hidden in the weeds to be in the southern BC Region and have something to sell please don't hesitate to let me know. I am not object to shifting into other years as well, I will not be able to always have everything for all years but I'd also like to hear your feedback on what years you'd like to see parts offered for. Thanks and I appreciate you checking out the site! Look for fresh parts listings coming in the coming weeks. Please keep in mind that our newest parts will be 1955 , and all parts I handle are USED, NOT NEW! Almost no newly made parts are available, except body insulators, glass, and window rubbers, as far as I can determine. Part numbers sometimes help ID the part, but Binders have many parts not showing a number. Year, model, application, and a pic will get better results. We have no stock below the 1951 model year at the moment. For parts newer than 1955 try Scouts Pluss!! All concepts, plans, and photos are to be considered copyrighted. Please respect the concept. Any photos, or submissions should be accompanied by a release for use on this site only. Water marks are fine. We attempt to perform just that when finding, buying and selling Vintage International Harvester trucks and parts for you. The term "unobtainium" has been coined to describe the scarcity of some of these antique trucks and parts! Cornbinder is the term of "endearment" often used to describe these amazing trucks. They were tough, but also had a style that is still a pleasing eye catcher! 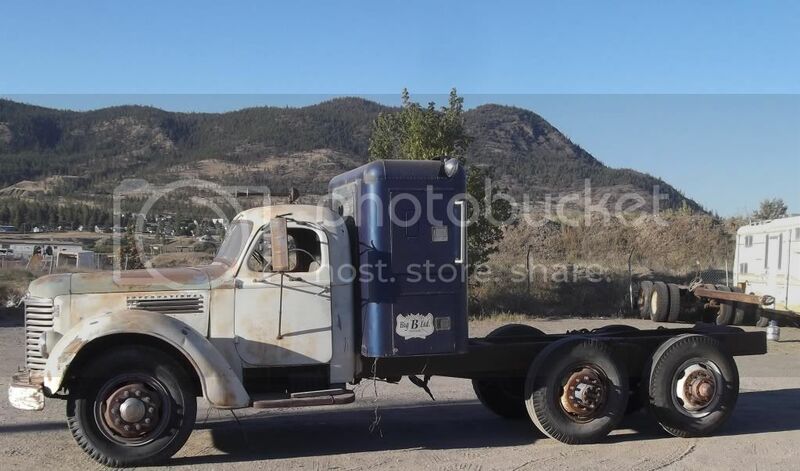 We mainly deal in IH trucks, and some of the makes that share mutual heritage, such as Diamond T. The information on this site will be primarily aimed at original trucks, known accessory equipment, which was added often at the dealerships, and common alterations or upgrades to these wonderful pieces of history. We lean strongly toward updated trucks to run on the hwy today without being a safety hazard, while maintaining as much of the original as is safe for the intended use. Feel free to share your truck here. Very few, if any body parts for these trucks are being reproduced, and as such, a good solid body part is a special find when needed. We deal primarily in medium to heavy trucks, up to 1955, but many body parts interchange thru the scale of a given model, and if a Pickup or Panel, including Travel All comes our way, it is never refused. Glass, door seals and window rubber are still available, new. Fender, hood, and other body insulators are available too. We can help locate glass, and provide current part numbers. Located in Merritt, B.C. Canada, we are happy to work with folks all over the world. We have supplied clients in Australia, Brazil, Canada, the UK, Northern Europe, South Africa, Mexico, and the US. Vintage International Harvester Trucks like this KBS-8 are getting very hard to find in a reasonably restoreable condition. We buy, sell, and trade for such trucks, a few of which are driven onto the lot. We try to replace missing title documents. We do minor clean up to the trucks we have for sale, and if possible get the truck running, so that the buyer is able to decide what the real condition of the truck is. Trucks that are too far gone for a sensible restoration are parted out to supply a growing demand. Serving Owners of Scouts & Light Line IH Trucks of the 60s and newer. Tired of the your dash gauges looking like the unfinished part of your truck? Have your gauge cluster looking and working like the day it rolled out of the factory!